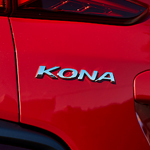 The Hyundai Kona remains a popular choice among consumers who prefer a smaller SUV. The smaller crossover was designed for the urban individual who desires a vehicle that handles easily in the city or out on the open road. See the new Hyundai Kona in our Grand Rapids inventory lineup. 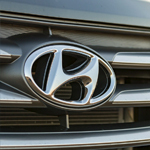 The Hyundai Tucson remains one of the best-selling crossover SUVs. The Tucson is just the right size for daily use or weekend road trips. The long list of amenities available in the models in our Grand Rapids showroom includes heated and ventilated seats along with a state-of-the-art infotainment system. 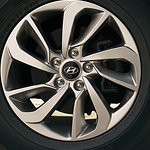 However, Hyundai also ensures that your ride is safer. We're thankful to have you as a customer, so we cooked up these awesome deals for you this month! Visit us at foxhyundaiusa.com, 4141 28th Street SE in Grand Rapids or call us at (616) 942-5000 today. The new Hyundai Elantra GT is a popular compact hatchback that will dispel any myth you may have heard about compact cars. The Elantra GT offers more space than you’d ever imagine, whether you choose the Elantra GT or Elantra GT Sport. With the rear seats folded, you’ll get 55.1 cubic feet of cargo space. Why Buy a Hyundai Santa Fe Sport? There are so many different types of cars on the market today, it can sometimes be taxing to remember them all. With some of them, you wonder why anyone would buy them. With the Hyundai Santa Fe, the answer to the question, "Why buy?" is obvious once you actually see its features and technology. As a sport SUV, the Hyundai Santa Fe sport is one of the safer ones out there in no small part because of its HTRAC all-wheel drive that handles each wheel individually for optimum control in bad weather conditions. No tricks, just treats at Fox Hyundai! No tricks, just treats at Fox Hyundai! Visit us at foxhyundaiusa.com, 4141 28th Street SE in Grand Rapids or call us at (616) 942-5000 for scary-good deals today. The Hyundai Santa Fe is proving over and over why it is quickly becoming one of America's most popular crossover SUV's. The 2018 Santa Fe boasts a myriad of features all designed to give drivers maximum capability and customization options. The seven-passenger SUV includes 50/50 split-folding rear seatbacks and a patented hands-free smart liftgate equipped with auto open, providing versatility for any driving or hauling situation. The available heated and ventilated front seats give drivers and passengers maximum comfort and convenience. Looking for a stylish and affordable sedan loaded with the latest technology? You may find the new Hyundai Elantra the ideal option. The 2018 Hyundai Elantra has some of neatest features you could imagine and all for your safety and convenience. Visit us at Fox Hyundai and speak without one of our sales people. One good thing that has happened with technology recently is the ability to sync different devices. One example is provided by vehicles such as the Hyundai Sonata. There are tons of features that make life easier in many different ways than just on the road. 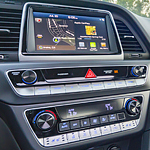 One feature that the Hyundai Sonata has for the passenger is the Apple CarPlay and Android Auto Support. This allows you to sync your smartphone to the vehicle and access your apps from the touchscreen of the vehicle instead of having to reach for your smartphone. Get ready to FALL in love with your next car at Fox Hyundai! Whether you want to rule the tailgate lot this football season or enjoy a trip to the orchard, we have a vehicle for you. Score big savings this month and visit us at foxhyundaiusa.com, 4141 28th Street SE in Grand Rapids or call us at (616) 942-5000 for exceptional deals today.